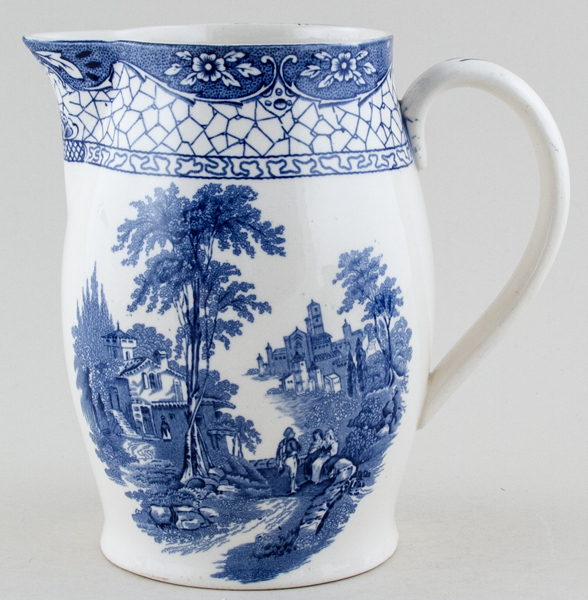 Delightful ovoid jug with same romantic scene either side of the body. Backstamp: Landscape Adams Est 1657 England. There are a few minor signs of wear overall excellent condition.